A ready-to-use, high-strength acid wheel cleaner designed to cling to and breakdown harsh contaminants. Made with strong cleaning agents that penetrate grime and lift from the surface for easy removal. 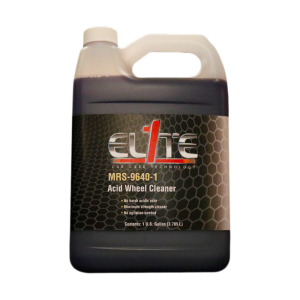 It is safe on all OEM wheels and in most cases EL1TE Acid Wheel Cleaner does not need agitation.